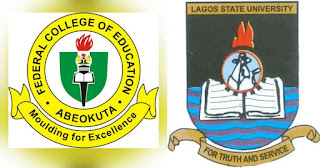 Like a beautiful bride being courted by all and sundry, the Lagos State University has again been singled out for partnership by one of the leading federal institutions in Nigeria- Federal College of Education, Oshiele, Abeokuta, Ogun State. 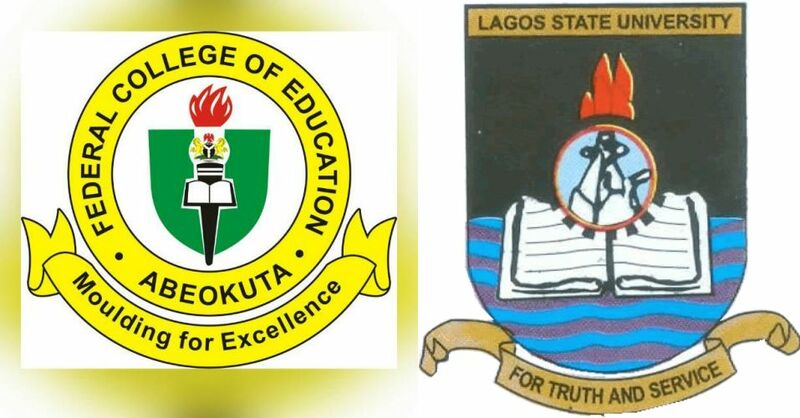 The partnership was cemented on Tuesday 10th April, 2018 as the heads of the two institutions, Prof Olanrewaju Fagbohun of Lagos State University and Dr Raufu Adekola Soyemi of the Federal College of Education, Oshiele, put pen to paper in a brief but colourful ceremony. The MoU was signed in the presence of Members of the Lagos State University Management and other Senior Members of Staff of the two institutions at the Vice Chancellor's Conference Room, Main Campus, Ojo. The partnership will see the Federal College of Education, Oshiele affiliate it's Sandwich Programme to that of the Lagos State University. Speaking during the ceremony, the Vice Chancellor of the host institution, Prof Olanrewaju Fagbohun noted the need to ensure quality and excellence on the partnership. For us in LASU, we are committed to excellence. Our common goal is to make a difference in this country. And from what we have seen on paper, I believe the two institutions are convinced of making this a success." The Provost, Federal College of Education, Oshiele, Dr Ayodele Ajayi in his response expressed his profound appreciation to the University Management for approving the partnership promising that his team would do all within their power to make it work, saying "I can assure you that we are also out for quality and excellence and we will not disappoint. We appreciate your emphasis on trust and excellence and we can assure you that this partnership will not fail."